DA Greg Griggers was injured in a shooting outside his Demopolis office Thursday afternoon. The suspected shooter, an ex-state trooper, was shot and killed. 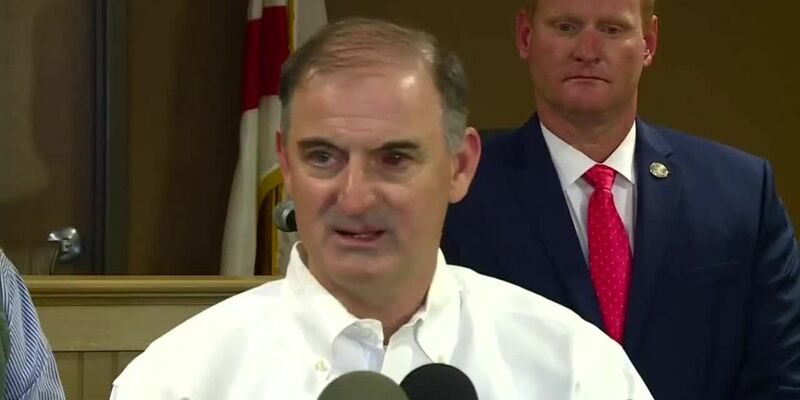 DEMOPOLIS, AL (WSFA) - West Alabama District Attorney Greg Griggers held a brief press conference Friday afternoon, the day after he was targeted in what law enforcement has called an “ambush style" shooting outside his Demopolis office. Griggers spoke the day after the shooting. Griggers, whom neighboring District Attorney Michael Jackson initially said had been shot in the face, suffered what are now said to be minor injuries. He was released from a hospital Thursday evening. The man accused of shooting at him, an ex-state trooper named Steve Smith, Jr., was shot and killed in the incident. Investigators said they weren’t ready to update the media with details about their investigation as of Friday afternoon, but urged anyone who had any information about the shooting or of Smith’s mindset to call the Alabama Law Enforcement Agency.